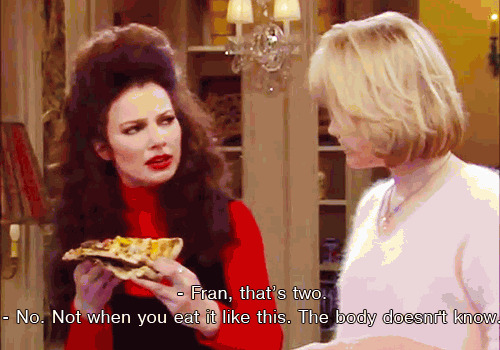 - Fran, that's two. - No. Not when you eat it like this. The body doesn't know. - No. Not when you eat it like this. The body doesn't know.